As we move into a new year, it’s always helpful to reflect on changes we’ve made and characteristics we’d like to improve within ourselves. But, for this moment, I would like for you to reflect on what’s currently happening in our community. Whether you’ve lived in Nashville your entire life or recently arrived here to pursue a dream, we can all agree on the hospitality and livelihood that make our city a unique place filled with love and compassion. I challenge you to think about what changes in the community are necessary, and what improvements we wish to see happen as contributing members of Nashville. Beginning my role as the new president and chief executive officer of The Housing Fund, I’m incredibly excited to work within the community and continue providing resources that The Housing Fund has equipped families with since 1996. Our down payment assistance loans help residents find the comfort and safety that everyone deserves. 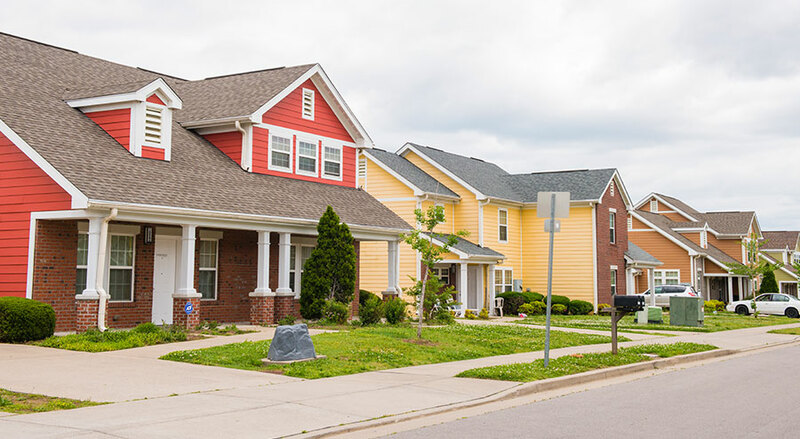 Nashville’s rapidly changing housing landscape is hard to deny, and our affordable housing resources give families and communities the support they need to ensure healthy living spaces. However, as we enter a new era with a population that’s growing as much as 100 people per day, it’s also become more pertinent than ever to begin changing the conversations we’re having about housing in Nashville. According to the U.S. Census, average home prices in Nashville were $167,500 from 2011-2015, and gross monthly rents reached $872. Stepping one year forward into 2016, the average home prices jumped to $266,408, while the gross rents escalated to an average of $1,396. As indicated in the Nashville Next, by 2040 Nashville will need a total of 352,600 housing units, which would require roughly 113,000 new homes or about 3,800 housing units per year. In our town, “affordable housing” are buzz words heard beyond Nashville metropolitan meetings. They’ve become so ubiquitous that we have a good possibility of hearing or mentioning them in our daily lives. However, it’s time to ask ourselves if it’s still a clear description of what we truly mean. Many people aren’t able to afford the houses they’d like to buy or rent, but it’s because they are no longer reasonably attainable. With median incomes continuing to rise, what you could afford last year may not necessarily be the same this year, and the same-size houses that are considered affordable a few counties over are just no longer in the budget range for a large portion of the population. Many residents have been priced out of the communities they’ve known their entire lives and forced to relocate. People search tirelessly for single-family homes or apartments only to settle outside Davidson county. We now must discuss and address the issue of making housing more attainable for all household income levels in the City of Nashville. The Housing Fund has continued to serve the Nashville community during these periods of transition and rapid re-housing. Now, we’re energized to match Nashville’s growth with a more visible, active and vocal approach to help bridge the gap between the vision and the opportunities available, especially for low- and moderate-income families. We’re eager to introduce our new five-year strategic plan, through which we will strive to be more of a leader and champion in the Nashville affordable housing conversation. This means advocating for all communities – especially those who might feel forgotten or ignored. None of these goals would be possible without the steadfast loyalty of our partners. Many of them have continued to support and elevate us to where we are now, poised to begin working more intimately within the community. It’s assuring to see so many people who are also striving toward more attainable housing options. Because of our shared mission, we’ve been able to build bridges across backgrounds, disciplines, geographies and institutions to where we now have a committed team dedicated toward improving individuals and communities. As part of our strategic plan, we’re looking forward to creating new ways for the community to get involved financially and as change agents. We’ll have more resources than ever for people to be able to offer their support, and we’ll always have our door open for those asking for help. We also plan to find innovative ways for providing assistance to broader audiences. Research shows that having the income to attain suitable housing provides benefits to the community that broadly affect everyone, including more jobs, workforce housing, safety and integration. Everyone has the potential to help make housing more attainable and see the benefits firsthand, so we’re eager to create more and more partnerships. In celebration of how far we’ve come in the past 20 years and the clear vision we’ve laid out for the next five years, we’re looking forward to our Partners and Investors Appreciation Breakfast on December 5th, where we’ll have the ability to thank everyone who’s partnered with us thus far. With your help, we’re happy to enter the newest era of growth in Nashville with the tools to ensure everyone is offered the same exciting opportunities.